The RDCA has been honoured to present scholarship awards to local apprentices since 2004. Our association is encouraged over the increased number of applicants each year and the quality of the applications continues to mirror the high standards our industry strives towards. 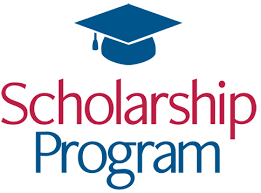 The intent of the scholarship process is to recognize excellence and encourage participants to complete their apprenticeship training programs. There is no better long term investment in the future education and growth of our apprentices within our industry. The application process opens each year in May and closes in August. Since its inception in 2004, the RDCA has awarded a total of 199 scholarships spanning a wide range of various trades totalling over $109,250. The scholarship awards would not exist without the strong dedication from the members of the Red Deer Construction Association. We raise funds for these awards through various social events including our annual golf classic, annual BBQ, and annual Christmas Breakfast as well as donations. We would like to again take this opportunity to thank our members for their support. The Scholarship application is available each year starting at the beginning of May and closes the first week in August. Contact the RDCA office for more information.